Use outdoor lighting because it is an elegant way to add drama and depth and create beautiful focal points in your garden. 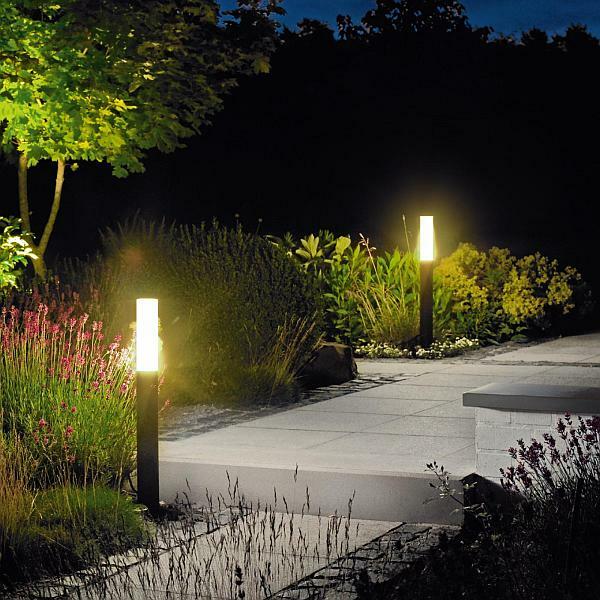 As they can add fascination to your outdoors, garden lights go far beyond pure functionality. Lamps in the garden create a magical atmosphere and enhance the décor. 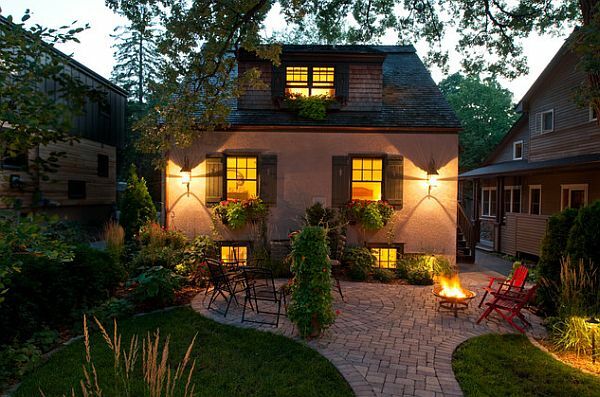 Furthermore, when strategically placed, garden lights create appealing focal points. 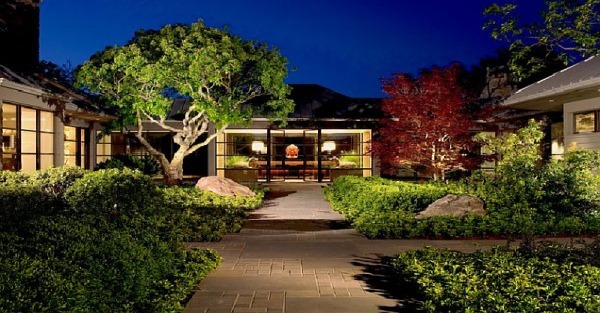 In comparison with indoor lamps, outdoor ones are easy to plan and install. 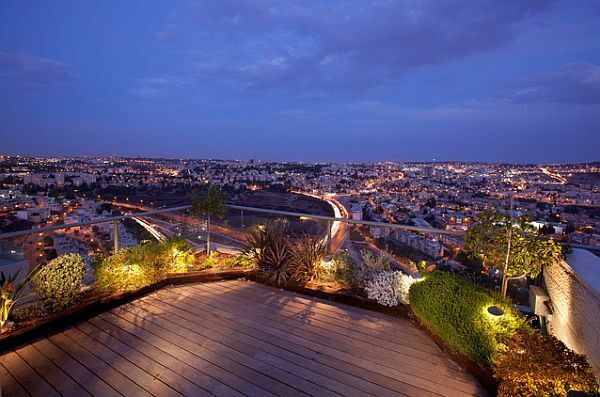 Look at some inspirational ideas how to make your garden glow without the need to alter the existing lighting scheme. 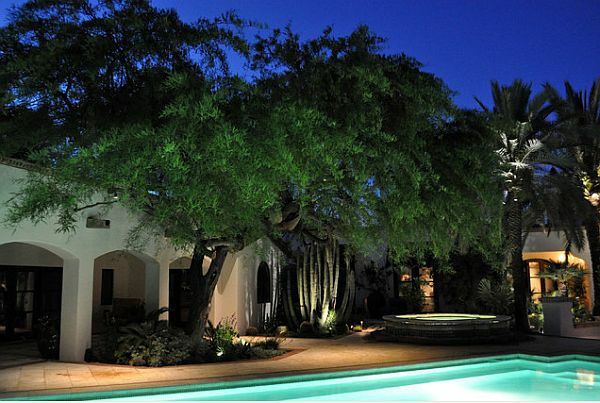 First, focus on orientation light to guide you from the courtyard entrance to the front door. With an array of options to choose from, it’s not difficult to add both functionality and appeal. Although bollard lamps are a surefire, standard option, wrought iron torchiere-style lamps can add personality and vintage touches to your outdoors. If the alley through the garden is close to the house, wall appliqués or wall lamps built on the house wall provide sufficient lighting. From more classical lamps with lampshades to minimalistic, modern wall appliqués with simple and attractive design, this option offers functionality and visual appeal. If you have an outdoor dining area, add a sturdy pendant over the table. Another option is incorporating standing floor lamps with dimmers, which allow creating the ambience you need. 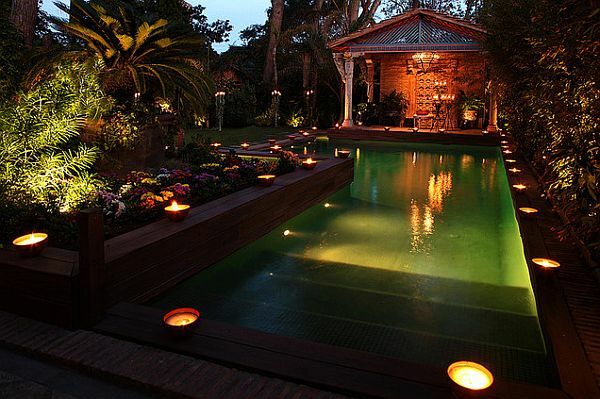 Floating lamps in various shapes and sizes are an innovative solution for garden ponds and pools. These lazily floating beauties can create a magical atmosphere in your garden. For safety reasons, all lamps used in this area should be waterproof.